AIB Rating is a “Third-Party Audit” and is comprised of an internationally recognized consolidated set of standards for inspecting a manufacturing facility such as ours that is a Food Contact Packaging Manufacturing Facility. All inspections and the related and all important ratings are standardized internationally – so that every such facility whether in America, Australia, Austria or Asia is conducted using the same exact criteria and guidelines. Compliance with these strict steps and criteria and receiving a rating of 910 out of 1000 means that our manufacturing facility is truly a “World-Class” manufacturing facility that produces and makes packaging that comes in contact with food products. By exceeding the standard, we can give our customers maximum confidence that they are purchasing from a company with a very high regard for Quality, Safety and proper standardized process steps required in a positive AIB Rating. We felt that it was important to be rated just as many of our existing customers are that are also in the food-related business. We are all extremely proud of the very high rating that our Manufacturing and Distribution facilities in Strongsville, Ohio - A-ROO Company LLC and our sister manufacturing facility Western Reserve Sleeve, Inc. have received due to our own strict procedural policies in place by A-ROO Company and Western Reserve Sleeve, Inc; and the training of all employees in the guidelines set forth. A-ROO Company has invested heavily in stock standard products that our Customers have come to rely upon for their immediate availability. We stock more standard packaging than any other floral packaging company in the Western Hemisphere, and we maintain warehouses at four US locations. 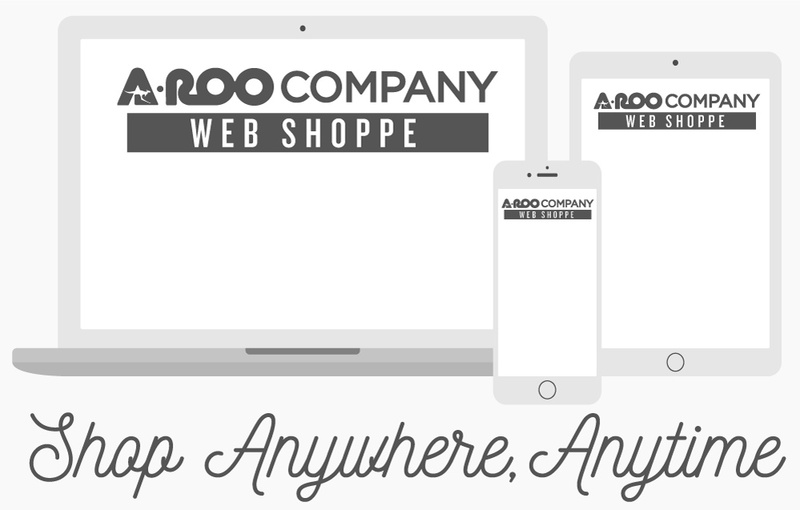 ** Contact an A-ROO Company Sales Professional about warehousing and inventory services for custom products. Let us design a special package for you and your company! Our award winning Designers in our Creative Department can create any look, fashion or design that will enhance your product. Let us work with you from start to finish to create a successful retail package that will capture the Consumer's attention and help your products gain the success they deserve. We have designed packages for all of North America's largest Chain Store Retailers, Floral, and Food companies. Hourly Rate Policy Many customers contract with A-ROO for creating concepts, logos, drawings, marketing materials, etc. A-ROO charges a fee of $75/hour for art preparation. The Creative Department can provide an hourly estimate as needed regarding the estimated time the project will take to create. Customers can expect professional quality renderings and a fast turn-around time. We offer high quality flexographic and rotogravure printing for bags and sleeves on both plastic films and paper. We print full color process plus up to 10 Spot Colors in-house. We also offer off-set and digital printing for POS/POP Posters, Product Brochures, Tags, Labels and Gift Cards. State-of-the-Art off-set and digital printing technologies are available on a wide range of papers and synthetic substrates. Please contact an A-ROO Sales Professional for more information. The Conical or V Shape is our ‘Signature’ Packaging. We utilize State-of-the-Art conversion machinery and processes in our own US production facility. We manufacture plastic conical shape packaging, bags and roll stock for floricultural, food and industrial related applications. We also have many exclusive Vender Partner Relationships with some of the leading global producers of conical shaped packaging, bags and roll stock. All partners produce to strict A-ROO Company directed quality standards.